Chlorophyll Analysis in Situ – Biofeed Solutions, Inc.
Biofeed Iberian technicians have another method in their field bags of measurement that adds to the in situ analysis of petiole sap, chlorophyll meters. The content of nitrogen and magnesium in a leaf is intimately related to the level of chlorophyll. 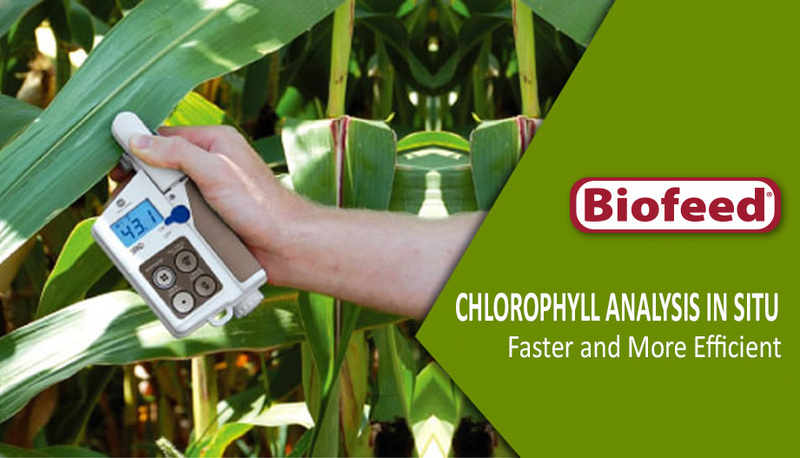 For this reason, the chlorophyll meter is a useful tool for the fast and effective measurement of these elements. This method is less invasive than those used to measure nutrients in petiole sap extract, allowing in situ measurement without the need to cut the leaves. It allows us to relate the value of reading with the nutritional status of the plant, determining the photosynthetic rate, and therefore its vegetative activity. The analysis of sap makes possible the necessary adjustments of nutrients, avoiding unnecessary excesses or deficiencies, reducing fertilizer costs, and increasing harvests. Hi Sean! We don’t sell the chlorophyll testers, but you can purchase them at Albuquerque Industrial: https://www.abqindustrial.net/store/. When you contact them, please tell them that Biofeed Solutions referred you. Thanks!